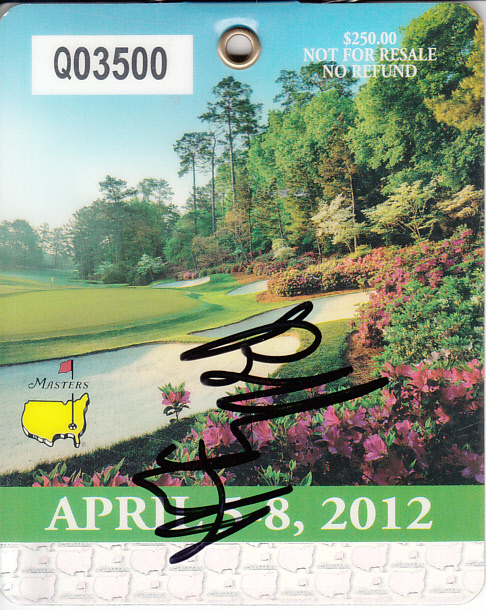 2012 Masters badge autographed in black Sharpie by Bubba Watson, who won his first green jacket and major title at Augusta in dramatic fashion. Obtained in person, with certificate of authenticity from AutographsForSale.com. ONLY ONE AVAILABLE FOR SALE.